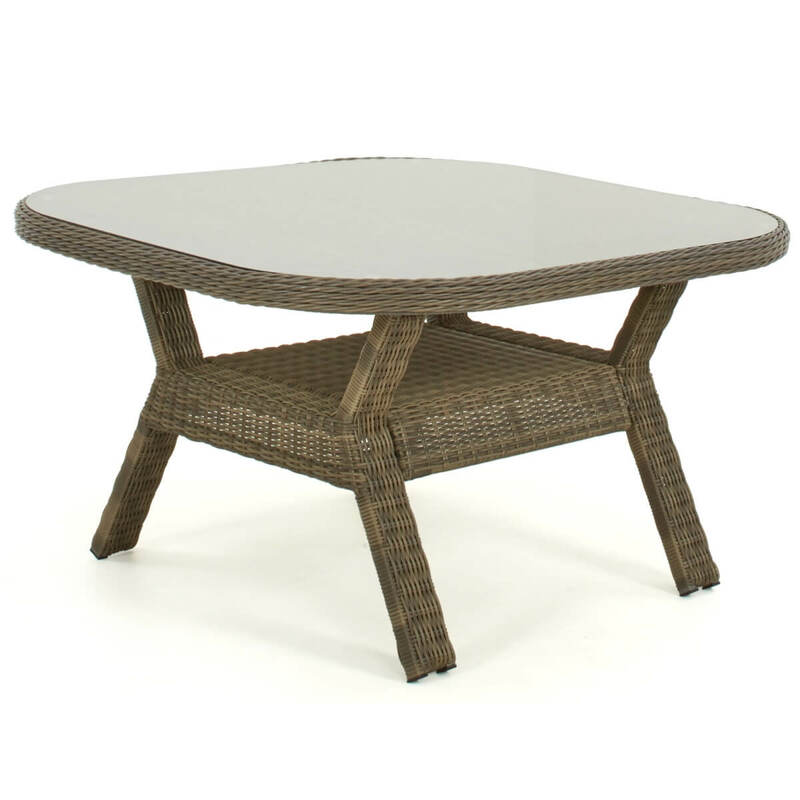 Why Choose the Winchester Rounded Corner Dining Set? The Winchester Rounded Corner Dining Set is the perfect way to combine relaxation with comfortable dining. 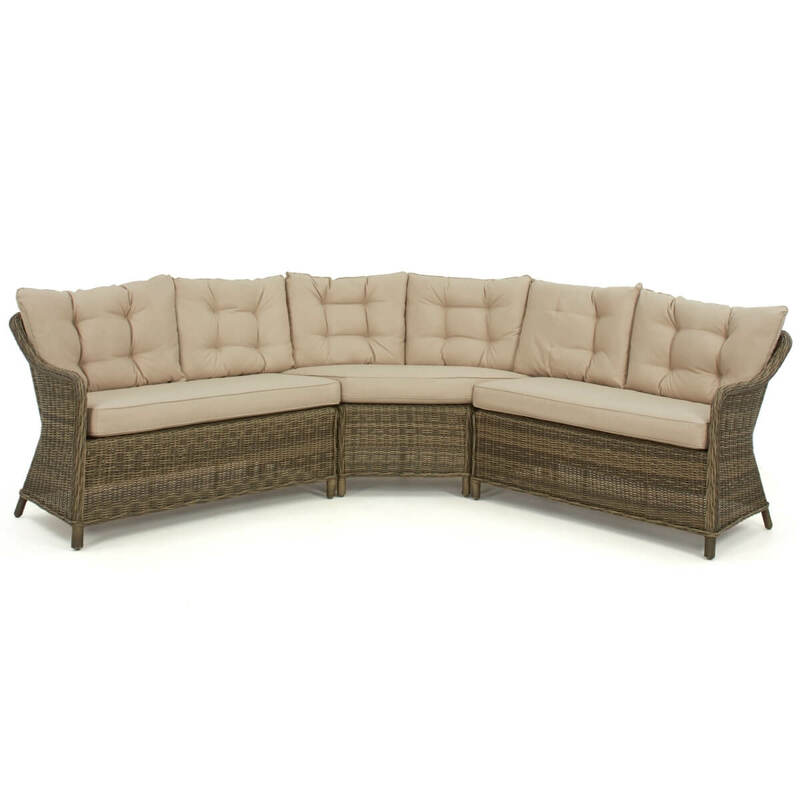 The corner sofa style seats allow you to make the most of the space in your garden, and the large table means there is plenty of room for the largest of feasts. 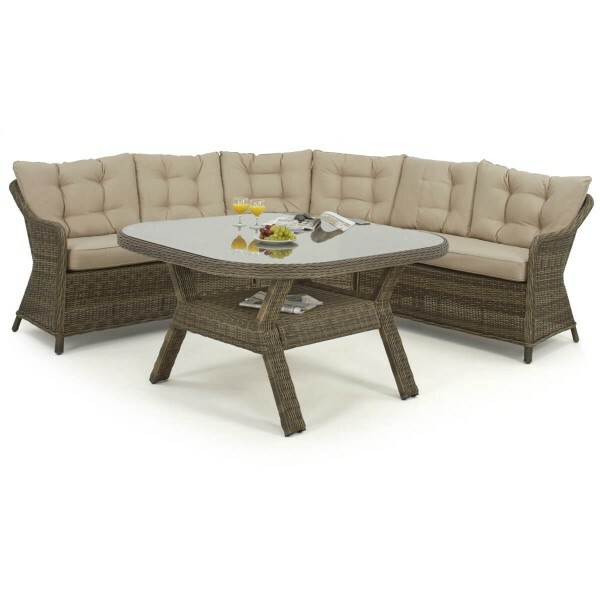 The set makes dining in comfort on a summers evening an absolute dream - the perfect way to enjoy the summer sun. This set includes thick base cushions, and comfortable stuffed back cushions. The Winchester weave is our most traditional style, reminiscent of English country houses. This classic look is achieved by using a natural-coloured round weave, creating the impression of wicker. The result is a finish that has a deep texture, with rounded corners for a more comfortable experience. This natural tone compliments the accompanying beige cushions perfectly. 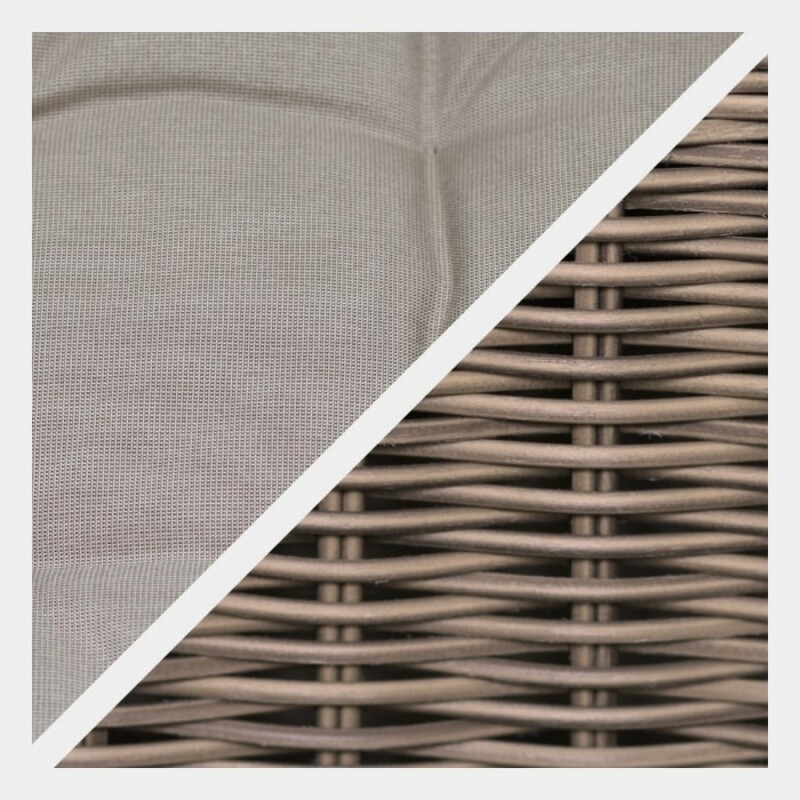 As with all Maze Rattan products, it is made from the highest quality material, woven onto a powder coated aluminium frame that ensures its use all year – even through the harshest weather.